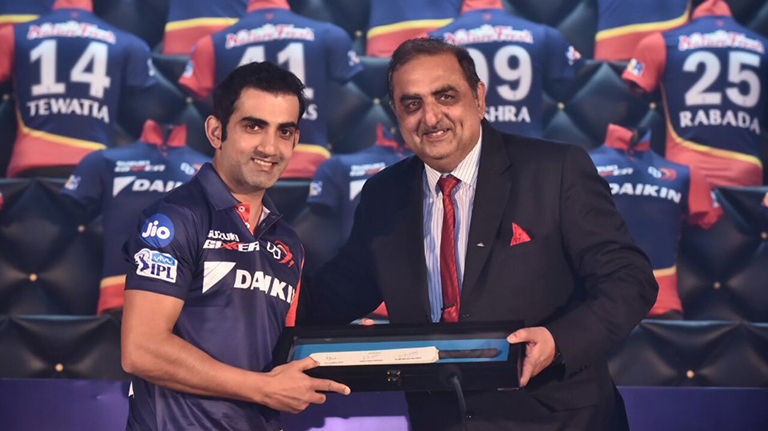 Daikin and Delhi Daredevils share a bond that’s growing strong with every passing year, especially right now, as it enters the fourth year of its partnership for the Indian Premier League (IPL). As always, Daikin promises to stick with the team through thick and thin, and believes that Delhi Daredevils are here to give a great innings this season and outperform themselves. With like-minded synergies of both - Daikin and Team DD, this partnership is bound to see some great success. As the IPL approached, Daikin highlighted its partnership with the DD team by creating immense social media buzz. The amplification began with a fun video shoot with the cricketers, which revealed the fun side of the players. This shoot was also extensively covered by Sportskeeda, an all-sports website, creating a ripple effect directed towards generating buzz on digital. Read More: Sportskeeda Article. To add on to the cricket fever and excitement, Daikin further launched a cool AR filter for Facebook. This activity garnered a lot of traction, and was taken up by many enthusiastic players, as well. During these on-going activities, Daikin made sure that communication was not one way, and made sure to respond to the many queries and concerns that cropped up on Twitter, pertaining to the team. Throughout the IPL, Daikin will ensure that no demotivating comment gets to the players, and the end goal or outcome of any conversation or activity is nothing but positive and directed towards encouraging a cool attitude. As echoed by Mr. Kanwaljeet Jawa, Daikin aspires to strengthen this bond further and wishes good luck to the team Daredevils.